MALLORCA is set to sizzle this week with temperatures topping 40 C on Monday. 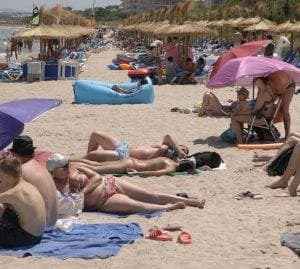 Meteorological agency Aemet raised its alert to orange in the south, centre and north east of the Balearic Island as it prepares for some of the hottest temperatures of 2017. In the Levante area, the mercury is tipped to reach 39 C, with the Tramuntana region experiencing a comparatively mild 36C. In Menorca, the temperature is set to reach a height of 37 C with Ibiza and Formentera around 34 C.